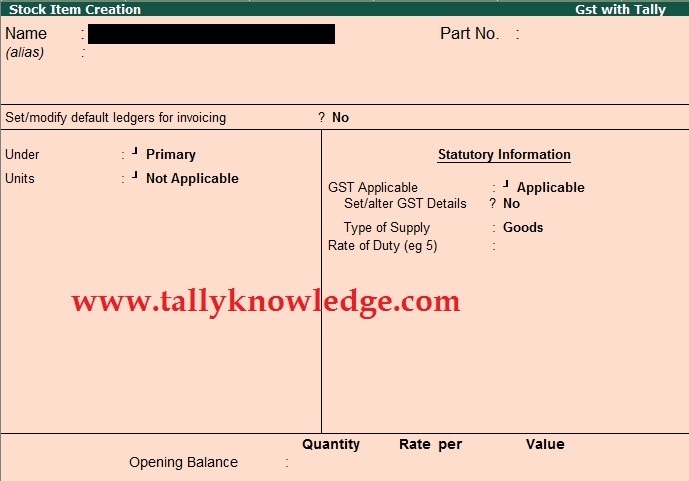 Home / GST-Tally / TallyERP.9 Lessons / How to Show Advanced Master for Stock Item for GST Calculation? How to Show Advanced Master for Stock Item for GST Calculation? Default view has only limited options like category, units, statutory information. On the other hand, Advanced Stock Item Creation show lots of options which is must use in a manufacturer company / firm. To activate advance stock item creation press F12 on Stock Item Level and "Enable yes to Allow advanced entries in Masters". You can see your stock item creation screen have some more options like Costing Method, market valuation method, ignore difference due to physical counting, ignoring negative balances etc.